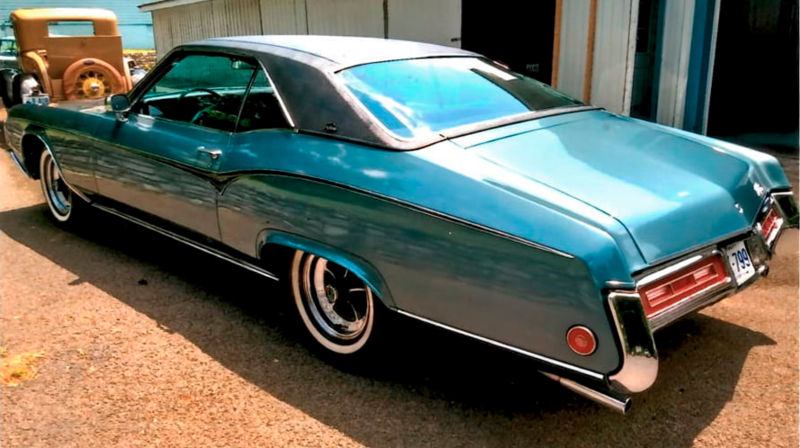 Many know that I am a 1970 Buick Riviera fan, for reasons largely psychological and nostalgic. So it's always intriguing when these unusual cars cross an auction block, because they are not very sought-after cars. The 2018 Mecum Louisville Auction September 7-8 will see this one cross the block. It's lot #F57, so it should be an early Friday car. This one has some paint weirdness (painted trim on rear skirts, non-original color, etc.) and the details are few, but it will be neat to see how it does. What do you think it will fetch? oestek wrote: Many know that I am a 1970 Buick Riviera fan, for reasons largely psychological and nostalgic. So it's always intriguing when these unusual cars cross an auction block, because they are not very sought-after cars. The 2018 Mecum Louisville Auction September 7-8 will see this one cross the block. It's lot #F57, so it should be an early Friday car. This one has some paint weirdness (painted trim on rear skirts, non-original color, etc.) and the details are few, but it will be neat to see how it does. What do you think it will fetch?